Hang-A-Plan Wallmounts occupy no valuable floor space and can be secured at any height to hold sheets of any length. Wallmounts are also the most economical option for storing / hanging Binders. 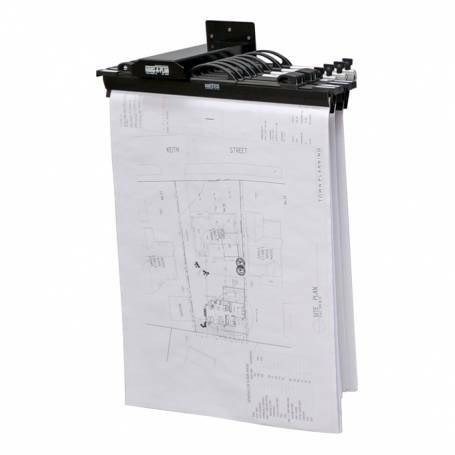 The new low cost two binder Wallmount is a small unobtrusive rack that can be mounted in many locations to store or display one or two Plan Clamps/300 sheets.